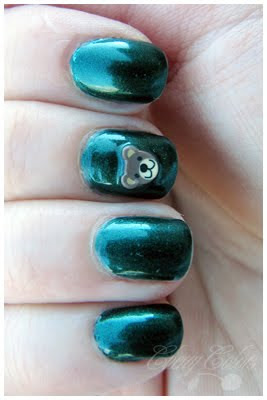 NOTD: Essence All Access with a bear - Cherry Colors - Cosmetics Heaven! I should be studying but I got a terrible terrible headache, so I decided to post my NOTD. It's Essence All Access (discontinued), which is a gorgeous dark green, with lighter green shimmer in it. The shimmer is almost invisible, but gorgeous. 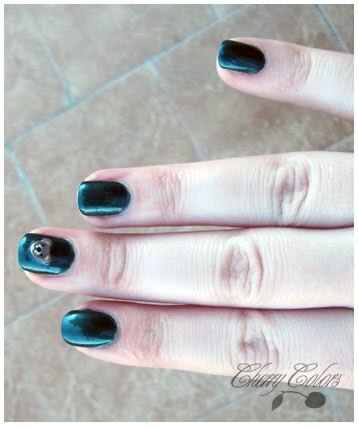 It kind of reminds me of Zoya Veruschka but glossy :). Anyway here it is; 2 coats, natural light.